I was idly glancing through things on SGW, and I saw a listing for a "Charming Hand Crafted Country Floral Placemat" which was a very simple on point set square with setting points and a narrow border. I thought, that would make a great ceramic trivet. My son is a potter, and while he is very into being an artist and making art, I'm just so practical, and I know it's easier to sell useful things than artsy things. Don't get me wrong, I'm all for artists, many of us here are artists. but, hey, quilting and pottery, what a great idea! So, I would like you to help me do some market research. If you were wandering through a craft fair, and saw ceramic trivets that looked like quilt blocks, would you buy one? If it depends on price, what seems like a fair price to you? Also, do you think felt pads on the bottom would be ok, or would we have to set them in/on wood? I think we can sand them smooth, too. Thank you so much for your input, and if we end up getting this into the production phase, you know I'll show you pictures! Cause we are all about pictures around here, right? Mods: If this is in the wrong area of the forum, I apologize, and thank you for moving it for me. i would buy one if it was reasonably priced. I have a hanging ceramic trivet which looks like a DWR quilt on the front. It is about 7" square, and on the back is a thick piece of black cardboard which looks like the back of a picture frame, with a sturdy triangular metal hook recessed into the black backing. If I recall, it was $10 (don't know how I know that, it was a gift---must have seen it for sale on the computer at some point), which I think is a reasonable price for one. I'd have bought it. I would buy one too. I think felt is fine but I’ve also seen some with cork bottoms that are nice too. I think “reasonably” priced would depend on the detail of art in the trivet. I’m always willing to pay an artist for their time and talent. I would want them so I could put them on the table and set got stuff on them. Also, so they could be washed now and then. Well it has been snowing night and day here, so have some time to play on the computer. 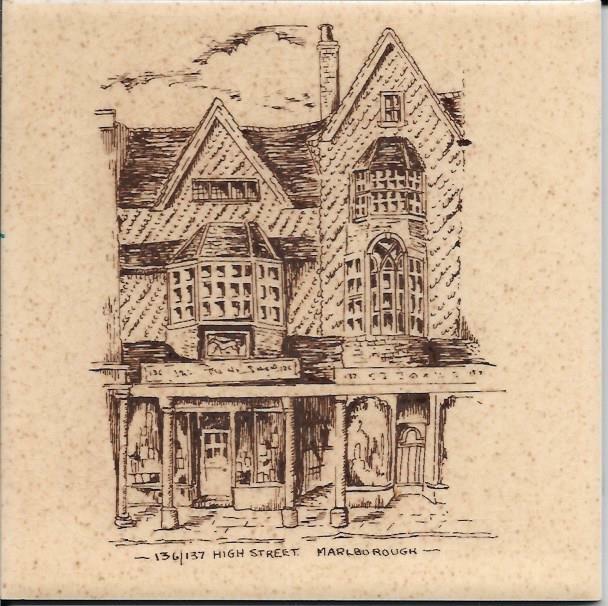 I looked up my 6" Ceramic Tile/trivet (signed by Diane Phalen) which I use for the teapot, and I also have 2 sets of ceramic tile coasters that are 3 3/4" , they all have cork backing. I know the coaster sets were around $20 for 4 at least ten years ago, but I don't remember the price of the trivet; I think $14.95 would be a reasonable price for one. (when I googled and saw a similar one for $34+ I just shook my head....maybe I shouldn't be actually using mine? ) With pottery being porous I think the cork is a better option than felt as a backing. Here is a picture of mine to give you an idea of what they are like. thimblebug6000 those are so pretty. I really like the big one it is gorgeous. I would buy one and those who have quilting friends would probably buy one for them. As far is price is concerned it would depend on the size …. thimblebug6000 those are very pretty. They are done using decals, which is how they are able to get so much detail. I have two, featuring Polly's Tea Rooms and the old Smithy in Marlborough UK, probably about 6" I use at the bedside for tea cups. I think they were about $15.00 each about 30 years ago. I had one of similar size of glazed peppers from the US SW I used for a spoon holder in the kitchen, about $12.00 I think. Showing the Polly's one as a less labor intensive option, probably like many coffee mugs today, a decal slip which are baked I think? I'd like to think I'd support local artists in any craft, but in truth most of us think "I can make that cheaper" so only want to pay for materials worth, not someone's time/skills. Let alone booth rent and 8 hours for someone to stand there and sell. I think it's clear that quilters would buy them, and perhaps our non-quilting friends and relatives would buy them for us. I think having a way to hang them is a great idea, as we would want to be able to display them as well as use them. Depending on the size, I would pay up to $20. Be sure to report back your decision and sales results if you decide to go this route. I have purchased metal plaques cut in the Ohio Star pattern and small wooden intarsia quilt blocks, so YES! I have a trivet my daughter made for me, about 8" square with a quilt design painted on before it was glazed and fired. It sits on my desk to protect the faux leather top from hot mugs. I can see paying $15 to $20 for something like that, again depending on the size and how it was finished. I think felt pads or cork either one would work for the bottom. I would buy a couple depending on the price. I think there is a buying market for this type of thing. Online sales could be another avenue. As for price that depends upon what both of you can come to an agreement on. My sister bought me a wooden painted barn quilt hanging for about $25.00. It's about 12 inch square I think. It has two different quilt patterns on front and back. oh, yes, I'd buy--like the idea of cork on the bottom--but wood would be very lush too. Would pay $10-15 for cork, maybe $20-25 for wood setting. My thought is where/how are you going to sell them? Will they be sold at quilt shows? Craft Fairs? Ebay? Etsy? How is he selling his pottery now? In my opinion, that's the hard part - getting the product to the potential buyer. There is always costs involved in selling. If you do quilt shows, that involves travel expenses + the cost of renting and "decking out" your booth. Craft shows are seasonal. They, too, can involve travel expenses if you go beyond local. Online sale sites pretty much eliminates impulse buys, which I would assume most of your sales would be. Having been an entrepreneur, I find selling/marketing the hard part. Production is easy, usually. Pricing is not that hard either. The hard part is getting your product in front of the people who would buy it.